In 2019, VALEMO will face some important challenges, including operating the first windfarm in Guadeloupe (French island) with multi-megawatt wind turbines, and putting into service about twenty solar and wind farms with different direct sellers. 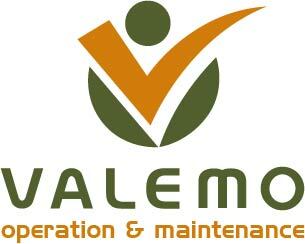 In order to pass those important steps, VALEMO has decided to industrialize its informatics system. To replace its historical physical server, VALEMO has deployed two virtual units, working on an entirely redundant infrastructure. Handling requests from customer applications (S2EV Web, G2MS, etc. ), softwares fully internally developed. Both servers, in addition to being shortly saved every day on a private cloud, are protected from accidental events (fire, flood, malice, etc.) in our security room (electrical standard NF-C15-100 / EN60439 and APSAD certified for fire risks). This summer has also been the occasion to deploy a Group’s Information Systems Security Policy (ISSP) based on ISO 2700x standards. It applies mainly on network interaction between solar and wind farms in operation and our offices, and permits to secure both IT infrastructures and power plants, while monitoring softwares are still fully operational.